**Update: There is some question as to the validity of the story that new tapes of the Apollo 11 landing have been discovered and that the news story itself might be a hoax. Read more about it at this entry on the Bad Astronomy blog. Note that my criticisms of the anti-moon landing conspiracy theorists still stand. ECSTATIC space officials at Nasa could be about to unveil one of their most stunning discoveries for 40 years — new and amazingly clear footage of the first moon landing. The release of the new images next month could be one of the most talked about events of the summer. The television images the world has been used to seeing of the historic moment when Neil Armstrong descended down a ladder onto the moon’s surface in 1969 is grainy, blurry and dark. The following scenes, in which the astronauts move around the lunar lander, are so murky it is difficult to make out exactly what is going on, causing conspiracy theorists to claim the entire Apollo 11 mission was an elaborate fraud. Happy Solstice everyone! It might seem a strange thing to be celebrating, this specific position of Earth in its orbit around the sun, but we skeptics have our reasons. This, of course, has to do with the old myth of being able to balance eggs on their ends only during either the vernal (spring) or autumnal equinox – of course, all references are in regards to the northern hemisphere. This supposedly “cosmic event” took me all of five minutes to accomplish – with a little practice, it’s easy to do. To understand why it is that eggs can be balanced in this manner, it is more helpful to look to the science of physics rather than the pseudoscience of astrology – this link at the Bad Astronomy blog explains in more detail. The former bookkeeper of an internationally known psychic from Dorset has agreed to plead guilty in court to federal felony charges levied against her by prosecutors who say she executed a scheme to swindle roughly $200,000. Denise Hall of East Arlington faces one count of wire fraud and one count of filing a false tax return after investigators with the U.S. Attorney’s office say she stole money from self-proclaimed spiritual medium Rosemary Altea — using four credit cards to obtain cash advances, forging checks and giving herself unauthorized electronic paychecks all under Altea’s name for the past seven years, according to court records. So, I suppose the most pertinent question to ask here is: Why didn’t Rosemary Altea, supposed master psychic, see this one coming? Crop Circles Predict… The End of the World? Are you kidding me?! No, really… you must be kidding… right? 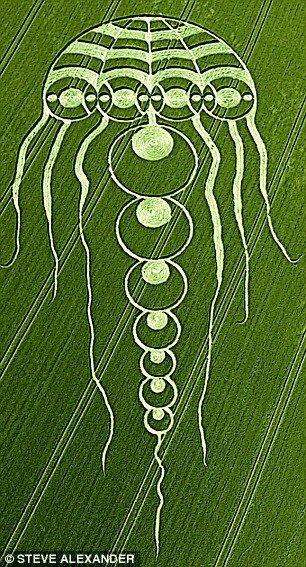 Because, knowing how these crop circles are made, no one in their right mind could seriously mean this. I don’t usually delve into strictly political waters, but recent events in Iran have compelled me to share some important information with the readers of this blog. One of the key things that drives all skeptics & scientifically-minded folk is the spirit of free inquiry. Without the free flow of unfiltered information, science & skepticism in their purest & most useful forms wither. Well, right now in Iran, there seems to be a revolution of sorts in the offing. There are huge protests, numbering in the 100s of thousands for days, alleging widespread & deep fraud on the part of the Iranian government and incumbent president & hard-liner Mahmoud Ahmadinejad. The challenger, a moderate politician named Mir Hossein Mousavi, is stating publicly that he will not accept the results of a fraudulent election, and he is demanding a revote. Unfortunately, the Iranian government has responded violently to these protests, and they are also attempting to impose a media blackout. This includes kicking foreign journalists out of the country and keeping them locked in their hotel rooms so they cannot cover the events unfolding in Iran. In addition, the Iranian government is also attempting to silence dissent on the Internet by shutting down popular websites such as Twitter and Facebook. If you have geek skills, an extra computer/server, and an interest in undermining fascist censorship, please help! Here’s how you can set up an anonymous proxy server to help Iranians bypass the Internet barriers. There are people calling for anyone with a twitter account to change their location to Tehran and their time to +3:30 GMT in order to throw off government searches for Iranian students who are tweeting. Please consider helping out; if you don’t have the skills necessary to set up a proxy server or set Twitter accounts, pass along this info to someone who can. Help defend free inquiry in Iran! 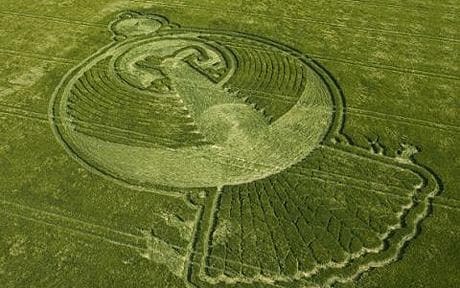 More interesting than the designs that various (completely human) circle-makers are able to come up with and implement is the fact that many people consider crop circles to be definitive evidence of visitations to Earth by aliens! Of course, nothing could be further from the truth.